Franklin Swift Billings Jr. died on March 9, 2014 in his family home and the place where he was born at 4 Bond Street, Woodstock, Vt. He was 91. Billings was born on June 5, 1922, the son of Gertrude Freeman (Curtis) Billings and Vermont Governor Franklin Swift Billings. He was educated in Woodstock and at Milton Academy, Milton, Mass. He received his B.S. from Harvard University in 1943, a J.D. from the University of Virginia School of Law in 1947 and an L.L.D. from the Vermont Law School. Billings served in World War II with the British Eighth Army attached to the Sixth Armoured Division, earning a British Empire Medal and a United States Military Order of the Purple Heart. He was severely injured at the Battle of Monte Cassino in southern Italy on May 27, 1944, requiring five months recovery and recuperation at a United States Army hospital in Italy, and four months at Walter Reed General Hospital (now Walter Reed Army Medical Center) in the United States. Admitted to the Vermont Bar in 1948, Billings practiced law in Woodstock from 1948 to 1966. During that time, he held numerous positions in Vermont's legislative, executive and judicial branches of government, including assistant secretary of the Vermont Senate (1949–1953), executive clerk to Governor Joseph Johnson (1955–1957), secretary of the Vermont Senate (1957–1959), secretary of Civil and Military Affairs (1959–1960), and judge on the Hartford Municipal Court (1955–1962). Billings was elected to the Vermont House of Representatives in 1960 and was swiftly promoted to speakership. As House speaker in 1965, Billings was an influential legislator in bringing about the difficult and controversial U. S. Supreme Court-mandated reapportionment (one-man, one-vote dictum) of the Vermont House of Representatives. In 1966, Billings became a judge on the Vermont Superior Court, serving until 1975. He was appointed to the Vermont Supreme Court and served as an associate justice from 1975 to 1983, and as chief judge from 1983 to 1984. 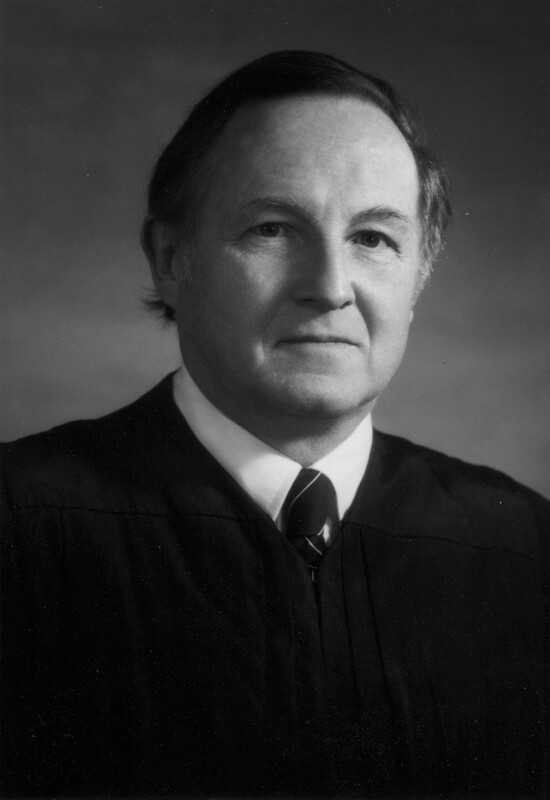 Billings was nominated to the United States District Court for the District of Vermont and confirmed by the United States Senate on June 15, 1984 and served until 1988 when he became chief judge, a position he held till 1991. Judge Billings served in numerous community and civic capacities, many associated with his native Woodstock. He was Woodstock village trustee, town agent, selectman, town and village moderator, planning commissioner, and a member of the zoning and school boards. Billings was a trustee of the Norman Williams Public Library, a director of the Woodstock National Bank, a trustee of the Ottauquechee Health Center and a member of the Riverside Cemetery Commission. He was a founding trustee of the Vermont Law School Calvin Coolidge Memorial Foundation and a trustee of the Mary Hitchcock Memorial Hospital. Judge Billings was a member of the visiting committee of the John F. Kennedy School of Government, a director of the Harvard Alumni Association, a member of the National Conference of State Trial Judges and served on the codes of conduct committee for the Federal Judiciary. In 1951, Billings married Pauline Richardson Gillingham. Their 62-year marriage was a partnership of love and devotion to one another. Judge Billings is survived by four children: Franklin Swift Billings III, Jireh Swift Billings, Elizabeth Preudhomme Billings and Ann Billings Suokko; and eight grandchildren: Jireh Swift Billings, Jr., Nathaniel Swift Billings, Calder Swift Billings, Isaac Billings Sacca, Susanna Sacca Billings, Mario Billings Sacca, Gertrude Sofia Suokko and Alden Southworth Curtis Suokko. For his family and friends, Franklin Swift Billings Jr. was an unfailingly polite, intellectually curious, concerned and kind gentleman with an ever-present sense of humor and a boisterous laugh. His keen interest in matters large and small continued until his last hours, shared and debated as ever with his wife. Pursuant to Franklin’s wishes, the family will hold a private service. Contributions may be made to the Thompson Senior Center, Woodstock, Vermont.